Congratulations to our 2nd grade team for their premiership! Congratulations to our 2nd-grade senior team for winning this year's winter competition. It has been a long season, with plenty of tight games including the final, but the team prevailed and earned to celebrate this year win! We are looking forward to welcoming the players back in the upcoming summer season or at least have them back in 2019 for another successful winter season. Our 2nd Grade Senior Team made it to the Grand Final. The team is playing Scotts at 2 pm this Saturday (18/08/2018) at Bonnet Bay. Be there and support the team! We recently received the news that one of our own, Riley Barrington is fighting a battle against cancer. A Go Fund Me page (Link below) has been set up to give Riley some financial assistance during his treatment. The response has been fantastic, receiving donations from the Rover, Scout and Baseball communities. Riley has said he is “blown away by the generosity”, but this comes as no surprise to the Cronulla Sharks Baseball community. Riley’s contribution to the club and baseball in general has been enormous. We wish him all the best and look forward to seeing him back behind the dish. News has come through to me that Riley Barrington has been diagnosed with cancer … and now has that all too familiar fight on his hands. Worse than any questioning of a strike call … worse than an angry dirt kicking manager … this one is real. To this end there are several ways to help – a fund raising website has been set up and our club will be having its own fund-raising activities as well. I’ve personally known Riley for the 14 or so years I have been associated with Sharks and have seen him go from being a young junior umpire in the wake of his father Peter, to gaining experience and confidence as his own kind of man and umpire, to being our clubs Umpiring Coordinator (assisting with the development of countless numbers of ‘blues’ myself included). His umpiring career has seen him go to ABL level and beyond recently being involved in an International tournament where he is highly regarded in world Baseball Umpiring circles. So, it is with many best wishes that I write this to him and for him. Fight and fight hard – you are a young fit man and our individual and collective thoughts are with you. We have had others in the club be humbled by this disease and our love at this time goes with you - be strong and get better young man … life is still all in front of you. 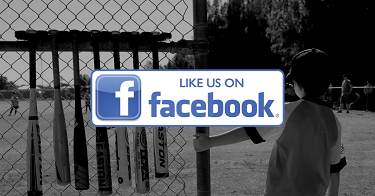 Our junior club enters teams for 5 to 16 year olds in the following summer competitions run by the Cronulla Sutherland Junior Baseball Association (CSJBA). Tee-ball (5 to 8 year olds) - The ball is hit from a standing Tee and the game is played on a reduced size diamond. Zooka-ball (9 year olds) - Pitching machine is used as a transition from Tee-Ball to a full pitched game. Baseball (10 to 17 year olds) - Full pitched game. On game day the club decides if our fields are open.